Ukraine’s beleaguered hryvnia currency could strengthen to UAH 14-15 by the end of the year, even given the continuation of hostilities in the east of the country, European Business Association President Tomas Fiala said on Thursday. He said that business does not expect a return to a hryvnia/dollar rate of UAH 12.9-13 per dollar, in view of the fact that such a rate was politically motivated to some extent. "At the same time, a rate of above UAH 15 per dollar is a temporary phenomenon, caused also by panic," Fiala said. According to him, in early 2015 the exchange rate is unlikely to exceed the predicted range of UAH 14-15 to the dollar in the run up to Ukraine’s negotiations on the third tranche of a loan from the IMF. 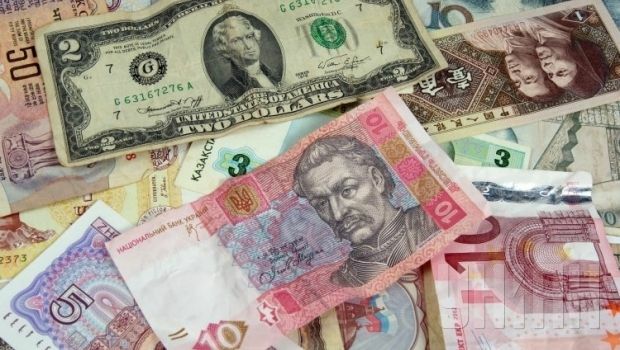 At 1400 on November 11, the National Bank of Ukraine set the official hryvnia-dollar exchange rate at UAH 15.7714 to the dollar, down by 97 kopikas compared with the official rate of the previous business day, hitting a new historic minimum. Since the beginning of 2014, the Ukrainian currency has practically halved in value. Since the introduction of the hryvnia in 1996, there have been another two steep drops in its value. In 1998, the hryvnia plunged to UAH 5 to the dollar from UAH 1.80, and at the end of 2008 it fell to UAH 8 per dollar in the wake of the financial crisis. In December, Ukraine is expecting the IMF to make a decision on resumption of its lending program and the disbursement of the third tranche of the stand-by loan for Ukraine. The tranche totals $2.7 billion. The funds will be used for replenishing foreign exchange reserves.